The polar bear and its habitat are internationally recognized symbols of the Canadian North. With nearly two thirds of the world’s polar bear population living right here in Canada , this Arctic species is a fundamental part of our ecosystem and culture. However, the Arctic home of the polar bear is in danger as climate change continues to affect the fragile Arctic environment. 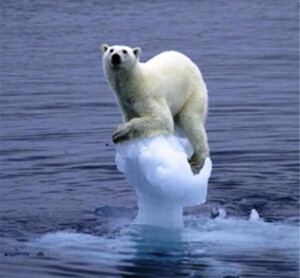 The polar bear’s best hope is remaining sea ice in Canada and Greenland . As Canadians we feel we have a special responsibility to help protect this habitat and that is why Coca-Cola Ltd. has partnered with WWF to protect the Arctic home of the polar bear. As a symbol of this commitment Coca-Cola Ltd. is contributing $2 million over five years towards polar bear conservation efforts, and will match donations (up to $1 million) from consumers who want to get involved. 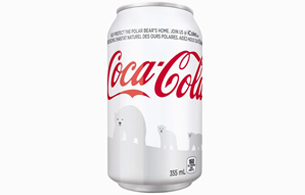 And to raise even more awareness in North America the company has turned their Coca-Cola® cans from red to white and added an image of the iconic Coca-Cola polar bear and her cubs – just in time for the holidays.